Want to sing karaoke online or download and save to your pc for later? 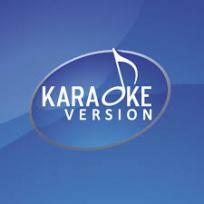 KaraokeVersion.com is a great karaoke website that offers high-quality free songs and videos that you can download. Registration is required BUT it's really painless! What are you waiting for? Their videos look good with nice background designs although most of the songs are 'buy only' option. You certainly won’t be disappointed with the superior quality sound produced by this winning professional online karaoke team! Music quality is very close to the original— also has good sound quality with no audible noise. Additional feature: Backing tracks also available for bass, drum, guitar and piano. Also offers backing vocal versions of many songs which allows a richer singing experience. Multiple formats including CDG, kfn, mp4, wmv allowing songs purchased to be played on multiple devices. Song samples of approx. 40 seconds duration offered before buying— awesome! Indefinite safe storage of downloaded / purchased songs on site meaning that if accidently lost you can access and/or download them again as often as required. Quick, convenient service— downloading of songs available immediately after payment via CC or Paypal. Downside? Not very much at all!!! Charges $2.99 per song which is rather expensive in comparison to other online karaoke websites! Also there’s no option to request a specific song which means no scope for specific song request creation!